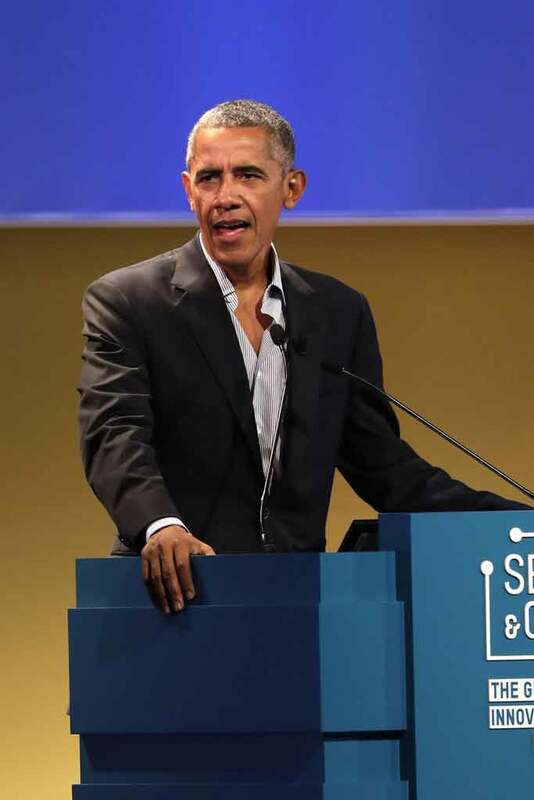 Scooper - Politics News: Do you want to know what Barack Obama wore on his trip to Milan? Do you want to know what Barack Obama wore on his trip to Milan? Former President Barack Obama has been mostly out of the spotlight since he left office. He and former first lady Michelle Obama have taken several vacations and made only a few appearances for important events. 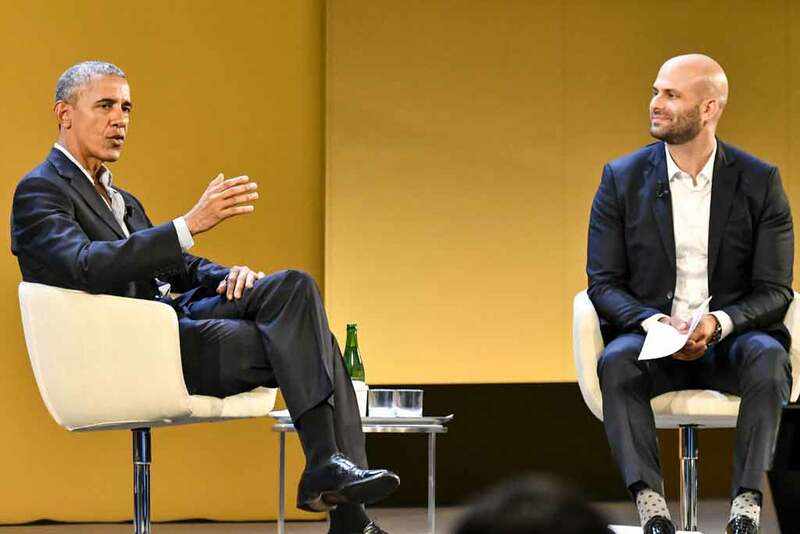 On Tuesday, Obama showed up in Milan for the Seeds and Chips Global Food Innovation Summit, where he delivered the keynote speech and also held an in-depth conversation with Sam Kass, who served as Obama’s senior adviser on nutrition policy, worked with Michelle on her Let’s Move! campaign and served as an assistant chef in the White House. While Obama did talk democracy and politics, he also mentioned that he’s been getting settled in the family’s new home in Washington, working on a book and planning the Obama Presidential Center, which will aim to train the next generation of leaders on activism. “I’m enjoying being in my own house. I have been fighting Michelle to get more closet space,” he said with a laugh. “I forgot my tie,” he joked. For the past eight years, Obama has mostly only been seen wearing a full suit, but in this new phase of his life, he’s certainly been dressing more casually. For this occasion, he did wear a suit and dress shoes but went sans tie and had two buttons undone on his dress shirt, which seems to have gotten people talking. 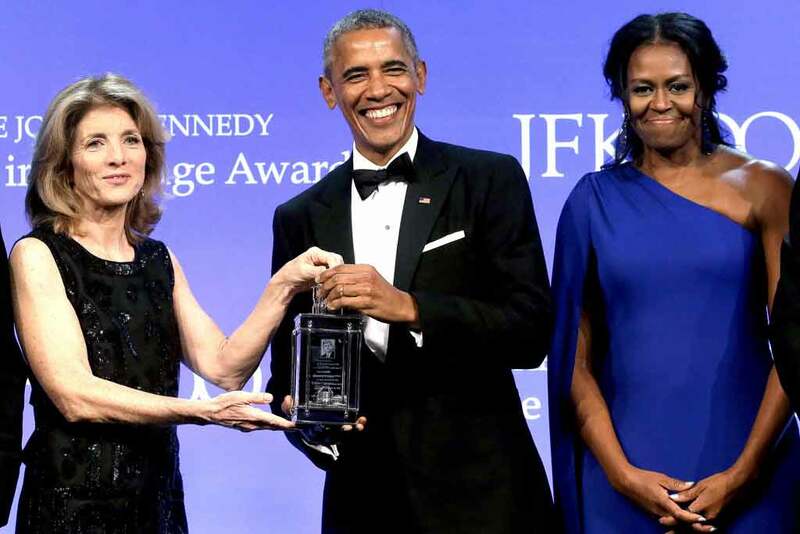 Earlier this week, Obama was much dressier, wearing a tuxedo to receive the John F. Kennedy Profile in Courage Award in Boston.